Software enhanced low light photography is quickly becoming one of the standard benchmarks in the domain of smartphone camera comparisons. We have seen Google’s strategy to include separate co-processor (Pixel Visual Core) in their phones for these enhancements. Dubbed as Night Sight, the combination of hardware and software enhanced raw image processing techniques by Google got universal acclaim from the critics. Even the ported Google Camera on non-Pixel phones delivers significant better pictures. When the community discovered the existence of the ‘Bright Night’ mode in Samsung stock camera, the fans were really existed. The Korean giant removed some features (like Pro mode while video recording) in the Pie update, but a dedicated night mode would be a worthy addition. Unfortunately, the ‘Bright Night’ mode in 2019’s Galaxy S10 is entirely different from the expectations. The feature uses the variable aperture lens and takes long exposure photos before combining them. But there is no Google-like AI involved in the process. In one of our previous articles, we talked about the limitation of Samsung Bright Night. We also highlighted the probability of getting a separate camera night mode via upcoming software update for the Samsung Galaxy S10. Good morning, thank you for contact. We’re working on separating the night mode for manual operation. Now a user from the popular Russian forum 4PDA grabbed the updated stock camera app from ASD1 (ASD3?) 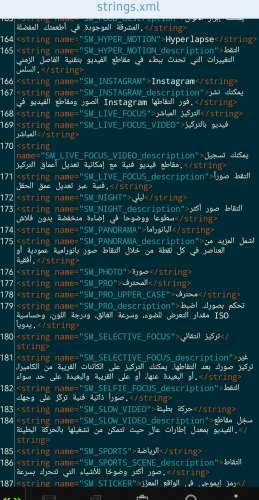 build and managed to find evidences of a number of new camera modes after decompiling it. Scratched the apk now from the asd1 firmware. Separately, there is a night shooting mode. There’s also a detailed description of “Make brighter and clearer images in low light without flash.” So the night mode to be. And also in addition: shooting under water, shooting fast moving objects and shooting in the fog. XDA writer Max Weinbach, who previously discovered the Bright Night related strings, has jumped into the conversation. According to him, the underwater/aqua mode is already there since the introduction of Galaxy active lineup. Moreover, the fog mode is present on Samsung J series. Fog mode, iirc, is from an old J series phone. I’ve seen it in the code for years now so it’s probably not going to roll out. FYI, the Galaxy J series is soon going to be merged with the Galaxy A series. He has also mentioned that the night mode could be activated with some mods on older phones as well. The Night mode has been in there for months and I have enabled it on my Note9, though it won’t we wrote about it a long time ago. It will roll out at some point. The feature should be rolled out eventually, as hinted by Quan Guixian, Samsung Greater China President. Although Max has said that the feature of shooting fast moving objects aka “…non blurry pics..” are new, Samsung J series of phones feature a similar mode for years. Sports : Take clearer pictures of fast moving subjects. On the other hand, another user contacted Samsung support regarding night mode support in Galaxy S10 and got a fairly weird but interesting reply. We will feed this back to the development team, please be aware we have a multi aperture camera which can provide very good low light shots whilst using Pro mode. We work alongside Huawei to help improve there products and our own. The reactions to this uncanny reply are hilarious as well! Comment from discussion farbeyondrivin’s comment from discussion "Interesting response from Samsung". You know the person who replied to you makes $12.50/hr right? It’s not like you spoke to the director of the camera division. Comment from discussion Taubin’s comment from discussion "Interesting response from Samsung". 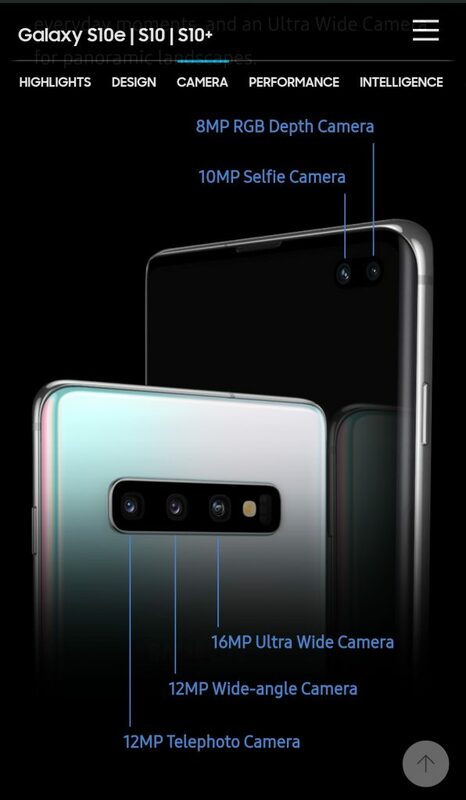 Kidding apart, are you excited about the upcoming low light photography mode in Galaxy S10? Comment below. According to leakster Ice Universe, the long exposure mode for better low light photography (aka night mode) is coming to Galaxy S10 lineup by April or May. Global Exynos powered Samsung Galaxy S10 phones are now getting a new OTA update with April security patch and camera night mode support. For camera samples and further details, see here. OnePlus News Daily Dose #46: OnePlus 7 release date, 6T price slash, FaceNotify and more!